Call the APICS Admin office at 480-609-3999 for the registration code. Even if you cannot attend this event yourself, you can invite your management to attend for free! Please click here to provide the information needed. Senior Management Night is our most esteemed Professional Development Meeting every year! At this meeting, annual awards are presented to companies that truly made an impact to our chapter and the field of operations management, both locally and globally. Speaker: Frank Sanders, Vice President, Technology and Manufacturing Group Director, Systems Supply Chain and Technology Enabling. The supply chain ecosystem is getting increasingly more complex. Supply chain organizations have the opportunity to add value by orchestrating the ecosystem and managing the complexity. Hear some of the trends and challenges that Intel faces within its supply chain ecosystem. 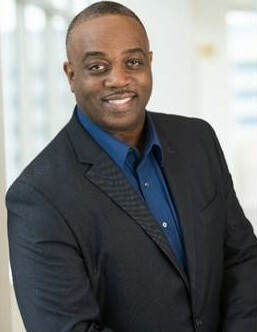 Frank Sanders is Vice President, Technology and Manufacturing Group (TMG) and Director of Systems Supply Chain and Technology Enabling at Intel Corporation. He leads the organization responsible for enabling and sourcing critical Intel platform technologies and managing the external systems manufacturing supply chain for the company. Since joining Intel in 1992, Sanders has held a variety of technical and business leadership roles. Before assuming his current position, he served as Vice President, TMG and Director of Corporate Strategic Procurement. In this capacity he was responsible for sourcing strategic capabilities for Intel in categories such as IT, marketing, third-party engineering services, and logistics. He is also executive sponsor for Intel's Supplier Diversity Program which established a 5 year commitment to $1B in annualized spending. Sanders holds a Bachelor's degree in mechanical engineering from the University of Illinois at Urbana-Champaign, a Master's degree in manufacturing systems engineering from the University of Wisconsin-Madison, and a MBA degree from the Kellogg School of Management at Northwestern University. In 2012, Diversity MBA Magazine recognized him among its list of Top 100 Under 50 Diverse Emerging Leaders. In 2015, Sanders led his organization to receive the Procurecon Excellence in Procurement Award and the prestigious Intel Quality Award. In addition, he has been recognized as a distinguished engineering alumnus by the University of Wisconsin-Madison. Sanders also resides on the senior board of the National Minority Supplier Development Council, the largest organization in the US promoting the growth and development of minority owned business.